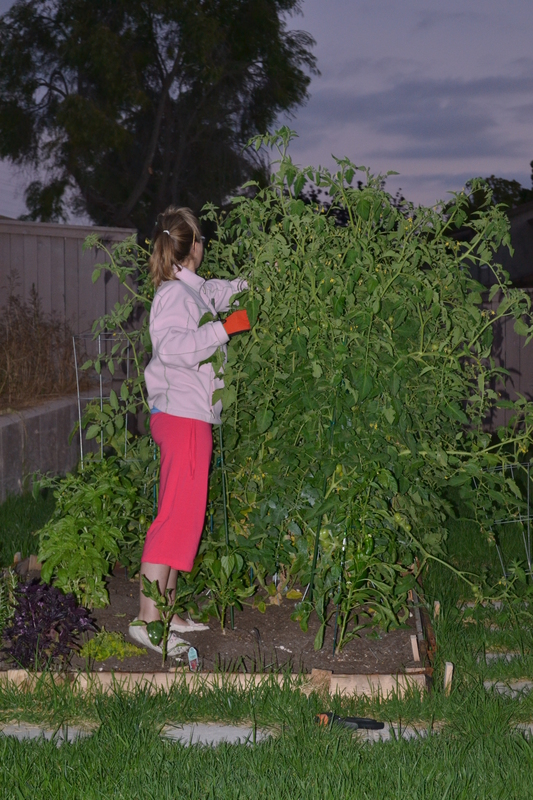 I’m fairly sure that Seth is tired of hearing me say, “babe, can you help me stake the tomatoes, again?” I planted 6 plants this year, all different varieties, based on my lack of success with organic gardening last season. I thought I’d be doing good if 2 survived-ooops! Add a little quality soil and persistence with organic pest control, and they have turned into monsters. He is already rethinking how we’re not going to be doing this all summer long next year. They’re gorgeous and there is one I can barely touch the top of while standing on my tippy toes. They smell absolutely amazing, and turn my thumbs into real green thumbs (or hands or arms). Gardening is rewarding, challenging, and I’ve found it to be very relaxing (i.e., blood sugar dropping). It is one of the things that is on my 2012 to-do list. Juliet Grape, Legend Heirloom, Early Girl, Better Bush, San Diego, Orange Oxheart, I can’t wait! Soon I’ll have 400 tomatoes, then it’s time to learn to can. This entry was posted in Garden by livinglikelinds. Bookmark the permalink. WOW, I’m IMPRESSED!!!! Way to go Linds, they are so delicious. 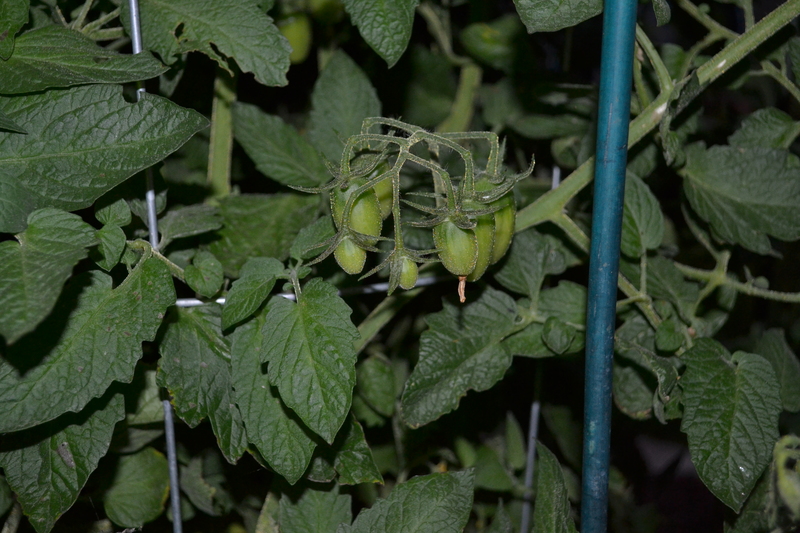 Your plants look WAY better than mine do this year but we are getting a few maters, just smaller plants due to the drought and heat. I LOVE gardening too! Our garden season is just about over. I think we might get a couple of more weeks out of the tomatoes but everything else has burned up in this Texas heat. We start picking tomatoes in April because we plant in February. They look great Linds! Thanks Mel! It’s been hotter and they’ve gotten more sun these past few days, which they need to turn red. I’m patiently waiting 🙂 Crazy how different our seasons are!